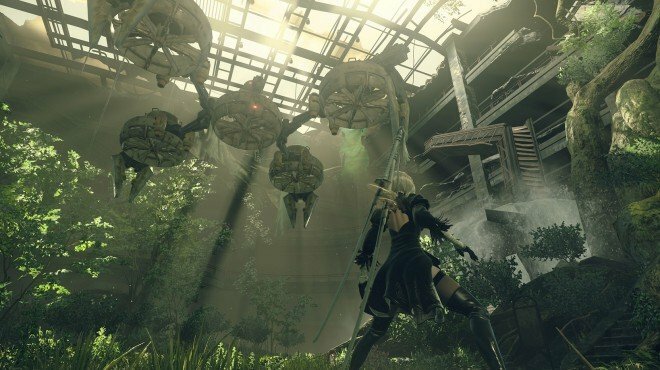 Alien Report is a Main Story Quest in NieR: Automata. "The Aliens have been gone for centuries, killed by the machines who they created, for the sin of being simple. The machines you met call themseves Adam & Eve and seek the humans in the moon for dissection." After completing Flooded City Recon, exit back to the cave and make your way back to the area where you dropped in. Jackass is waiting here, with a brand new access point. The ability to teleport unlocks, allowing you to fast travel between places faster.